I think we can all agree a good vegan gravy can make or break an entire holiday dinner. I mean, you don’t want your glorious mound of mashed taters drizzled with thin flavorless tinted water, right? No way! You want something thick and creamy with a rich, robust flavor that wraps you in its loving arms and whispers, “Welcome home” into your ear. Yes, friends. It may sound a little “out-there”, but this is the holiday gravy experience I desire which is why I am sharing my gravy solution to end all gravy solutions today with this recipe for turkey-style vegan gravy. This vegan gravy is BEGGGGING to be poured all over a giant plate of mashed potatoes, but that’s not its only use! This gravy is also killer on stuffing, seitan roasts, and all. the. veggies. We also love to pour it over biscuits for a comforting weekend breakfast. So, let’s get down to it. What exactly makes this gravy so spectacular and life-changing that I can write an entire passionate ode to it? 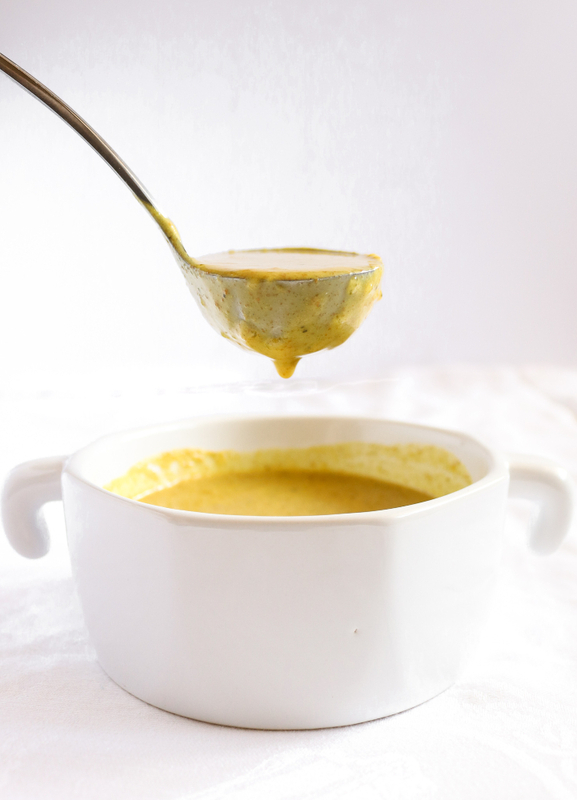 For one thing, this vegan gravy is 100% oil-free whilst still somehow staying lusciously thick and creamy, thanks to a method I picked up from one of my favorite vegan food bloggers, Happy Herbivore. It’s also gluten-free thanks to the magic of tapioca starch (also called tapioca flour) which is GREAT for that holiday situation when you have guests with different dietary needs. 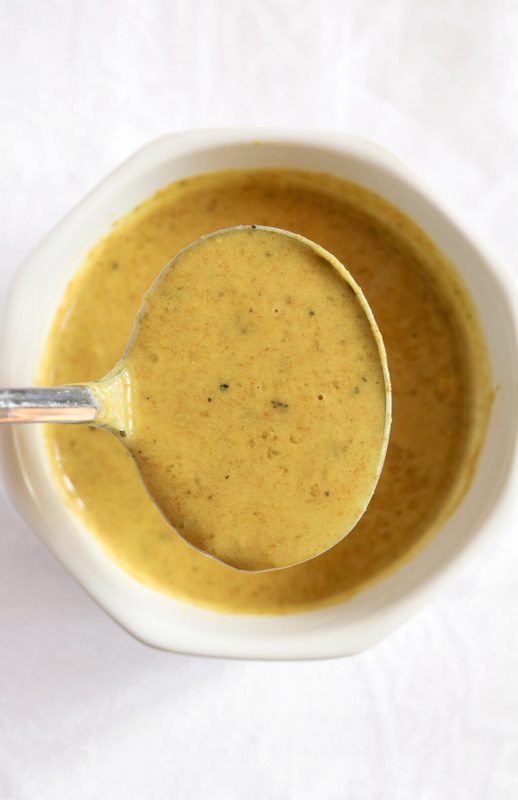 So, not only is this vegan gravy super-yum, but it’s also rather freakin’ healthy! That’s a win-win I can really get excited about! 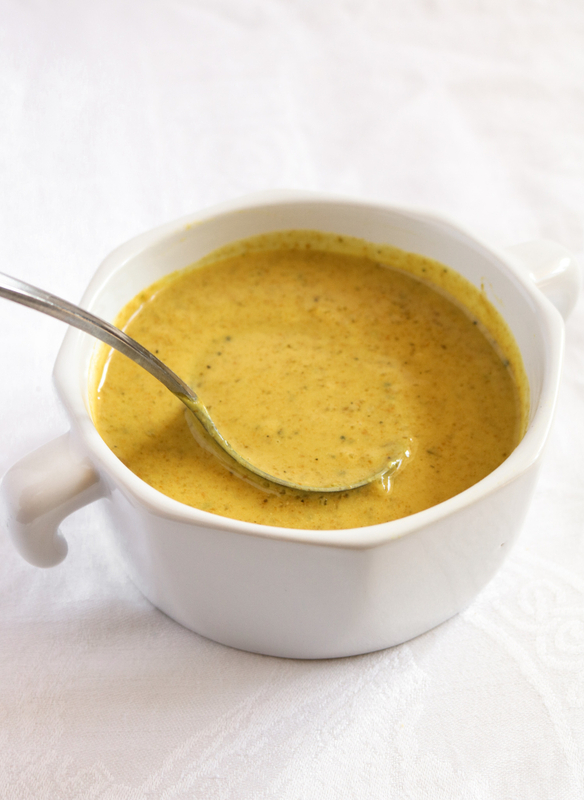 Let’s make Vegan Golden Gravy in under 50 seconds! Heat a medium sauce pan on low heat and add your nutritional yeast, bouillon, and flour. Whisk to combine and continue heating the mixture, whisking often, for 3 minutes. Next, slowly whisk in the warm water until no clumps remain. Cover and bring this mixture to a boil. Remove the cover and turn the heat to low. Allow the gravy to simmer for 7-10 minutes or until it reaches your desired consistency. Make sure you are stirring the mixture often, scraping the bottom to avoid burning it. Finally, add the garlic powder and a pinch of salt and pepper. Stir, taste, and adjust seasonings as you see fit. Pour this gravy over smashed potates , stuffing , or your Thanksgiving seitan roast . Enjoy!